With the elimination of Raymond van Barneveld in Rotterdam, just eight players remain in the hunt for semi-final places in the 2019 Unibet Premier League Darts. They will play each other in round-robin format one more time over the next seven weeks. Currently, all eight still have some chance of reaching the playoffs at the O2 in London in May. However, the loser of this week’s Peter Wright v Michael Smith match-up will face an almost impossible task. At the top end of the table, Mensur Suljovic can gain a huge victory over James Wade, an opponent he seems to have a hex over. Derry native Daryl Gurney will have the support of the loud Belfast crowd and can spring a surprise victory over the in-form Rob Cross. Michael van Gerwyn – Two defeats already and has seldom looked at his best. However, has reached the top of the table and likely to stay there. Rob Cross – Has been very good other than a poor performance against MVG. Looks on course for a place in the semi-finals. James Wade – Super solid so far. Highlights include a victory over MVG and a 109 average in a whitewash of Daryl Gurney. Unusually for The Machine, he has scored the highest average four weeks out of nine. He may feel he could be in an even better position after drawing some matches he should have won. 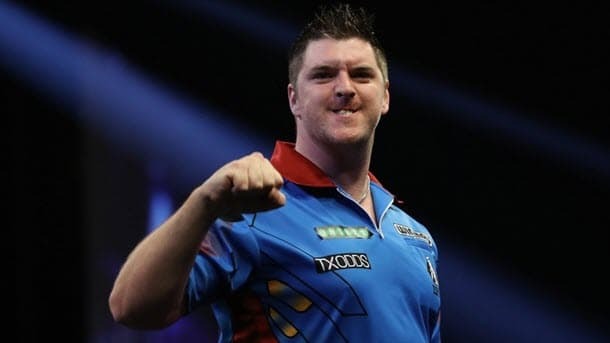 Daryl Gurney – Fought back admirably after two heavy defeats put him in serious relegation trouble. Will carry the momentum of three successive wins into the second phase. He was our pick for a semi-final place at a big price in Week One and is giving us a good run. 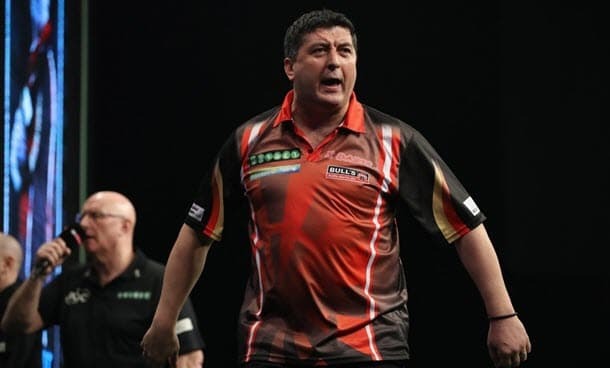 Mensur Suljovic – Always a tricky opponent. Needed big comebacks to gain some of his points. Should remain competitive but can’t afford to continue to give leads to the opposition. Gerwyn Price – Started like a house on fire and was never in danger of the relegation that I predicted. The Iceman has started to melt recently after that bright start. Will retain plenty of self-belief but may struggle to keep pace. Peter Wright – Very inconsistent. Needs to start winning games, something he failed to do in the first phase against any of the remaining players. Likely to get a scalp or two along the way but hard to see him getting the five wins he’ll probably need to progress. Michael Smith – Bully Boy started second favourite based on his superb finish to 2018 but has generally disappointed so far. Hints of a return to form recently, but it will be difficult for him to get to the 18 points he’ll likely need to reach the playoffs. The Contenders / Replacements for Gary Anderson – An interesting experiment which I don’t think quite worked overall. It proved how difficult it is to play your ‘A Game’ on your first appearance in such a demanding match environment. Highlight – There can only be one. The Highlander. Big John Henderson and the walk-on in Aberdeen. Just an incredible moment and something that Hendo will never forget. Even better that he backed it up by sneaking a draw on the night against MVG. Two of the form players from the first phase meet early. Wade is rightly favourite but seems to struggle against the Austrian, including a 3-7 reversal in Nottingham in Week Six. That leaves their overall head to head 10-5 in favour of Suljovic. Suljovic can gain another victory at a big price. This is almost a knock-out tie as the loser will have little chance of reaching the play-offs. Truthfully, it’s very difficult to make a reasonable betting case for either. Cross has had a fine campaign so far and sits in joint first place on the leader-board. It could be even better but for a strange collapse against Mensur Suljovic in Rotterdam. Superchin has bounced back superbly after some heavy defeats in the first phase, including 1-7 against Voltage. He’ll enjoy huge support from the Ulster crowd in his attempt at revenge, and carries momentum from three successive victories at the end of the first phase. He confirmed his recent form with a £25K win in the German Darts Championship on Sunday, including a victory over Cross in the third round. This game is clearly much tighter than the odds suggest. When they met in Nottingham in Week Six, the Welshman was on a good run of form. Many (possibly Welsh people) were lauding him as the true number one player in the world. Predictably it ended with an easy for MVG, stretching his record over Price to 15-0. MVG still hasn’t quite hit top form this year, and logically the Iceman will eventually beat him some day. It won’t be this week though.